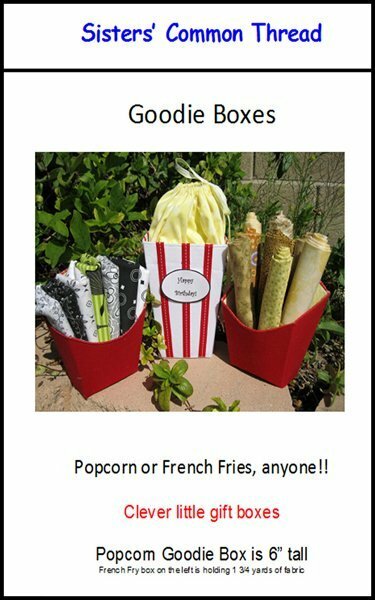 Goodie Boxes Pattern - Make up a popcorn box or French fry container to present your next small gift in and you have a one of a kind package. Popcorn box is 6" tall with a draw string top. French fry box can hold 7 folded fat quarters. Perfect for your next gift or cute to display.